Over the past few years, High Country News has worked hard to broaden its coverage and reach. Our mission is to inform and inspire people to act on behalf of the West’s communities, and we in the editorial staff seek to do that by putting as many issues as we can in conversation with each other. We believe that communities in the modern West have more in common than not, and that a deeper understanding of the myriad issues confronting the region will help us strive for something better. The West is facing a number of unique (and not-so-unique) challenges. Our landscapes are under assault by a changing climate, while our southern border has become a propaganda play for a president intent on stoking racial tensions. Hate crimes in the West rose 20 percent from 2016 to 2017, and a bewildering number of plants and animals face mass extinction. Amid so many concerns, where should we put our efforts? The answer, I think, is to take a step back and to see all of these issues as part of a single problem, a problem of ethical impoverishment. Aldo Leopold opens his essay “The Land Ethic” by describing how Odysseus hanged his slave girls when he returned to Ithaca. 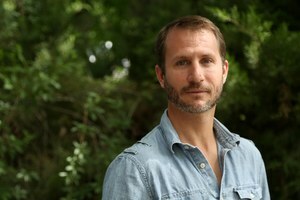 Leopold sought to explain how ethics evolve over time, before he outlined a new community concept, one asserting that “the individual is a member of a community of interdependent parts.” He hoped to encourage people to see people and land as part of the same community, and to extend ethics into this broader idea. Seventy years later, we’re still struggling with a human ethic, let alone a land ethic. This issue offers us a chance to examine our ethics. In one story, we describe the impact of the federal shutdown in rural Washington; in another, the educational impact of deportations on children. 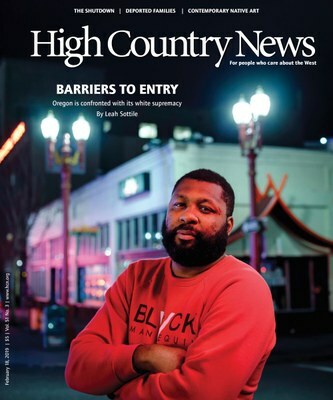 The feature story, by Leah Sottile, describes the efforts of a small group of people to force Portland, Oregon, to face its racist past — and present. This issue is a snapshot of our region, 70 years after Leopold’s seminal work was published, and we clearly have a long way to go. There are bright spots, however. Julian Brave NoiseCat describes an Indigenous art revival, and we report on the ouster of Ryan Zinke, who resigned as Interior secretary under a cloud of corruption scandals. We also report on Idaho Republican Gov. Brad Little (a former HCN board member), who recently announced that climate change is real and must be addressed. I hope these stories will remind readers that we in the West can — and must — see ourselves as part of one community. We are all facing a singular challenge: to live ethically in a time of great troubles, to see ourselves as an integrated part of the whole — creatures whose fates are bound together.